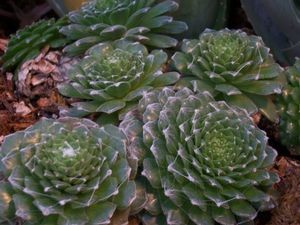 This plant is a very unique succulent plant for your rock or container garden. 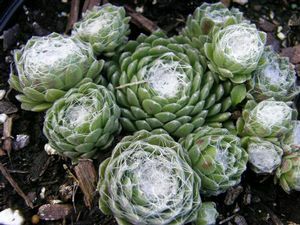 It has rounded rosettes of gray-green foliage with white threads of webbing across the top of each rosette, making it look like spider webs. Will spread slowly to form a dense mat, growing 2-3” tall. Under the right conditions, it will bloom in early summer with crimson flowers.